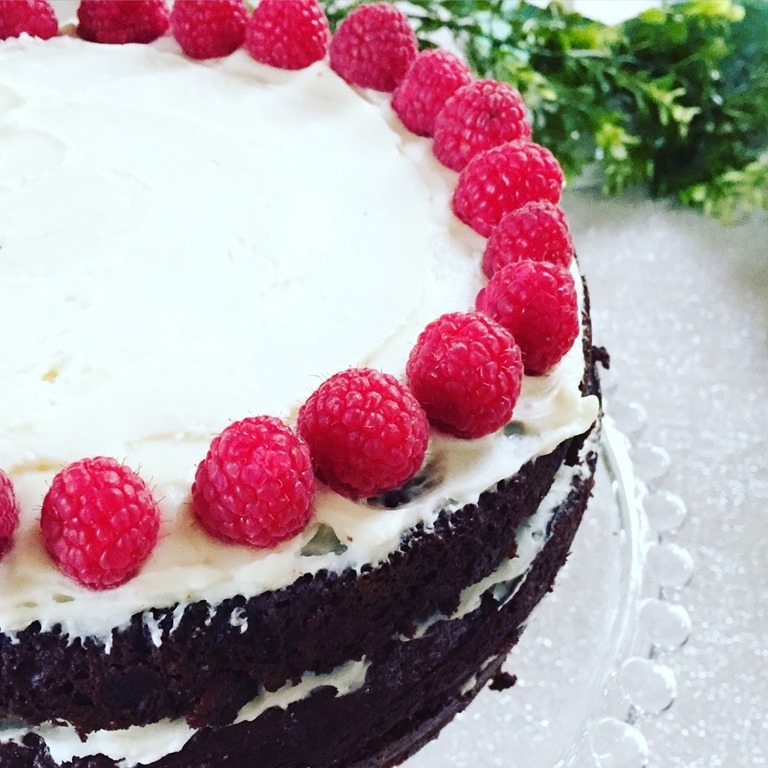 I wanted to share this cake recipe that I’ve made a few times already, in time for Valentine’s Day festivities. 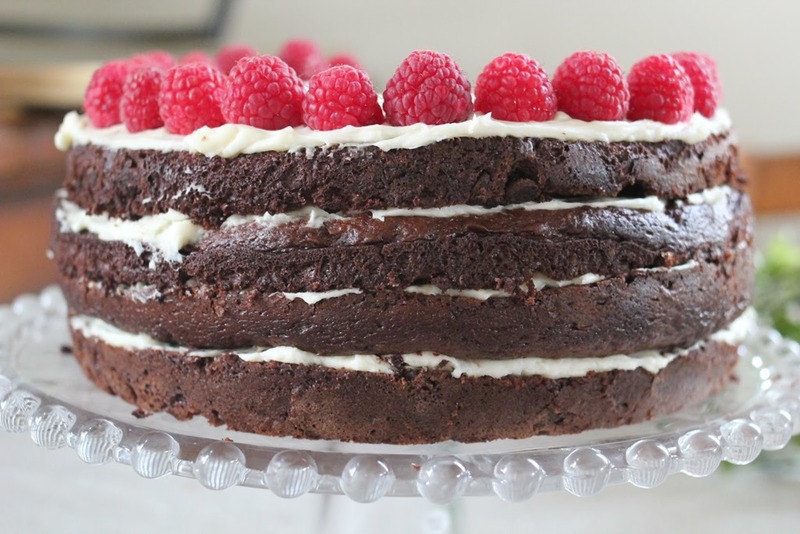 This is a semi-homemade recipe because it uses a cake mix, and with the addition of the right ingredients, it transforms into a dense, moist and extra chocolaty cake. It’s the ultimate chocolate cake. The original recipe that I adapted it from, it was made into a bundt cake, but I baked it into cake pans and made it look extra pretty with fresh raspberries and layered it with basic cream cheese frosting. 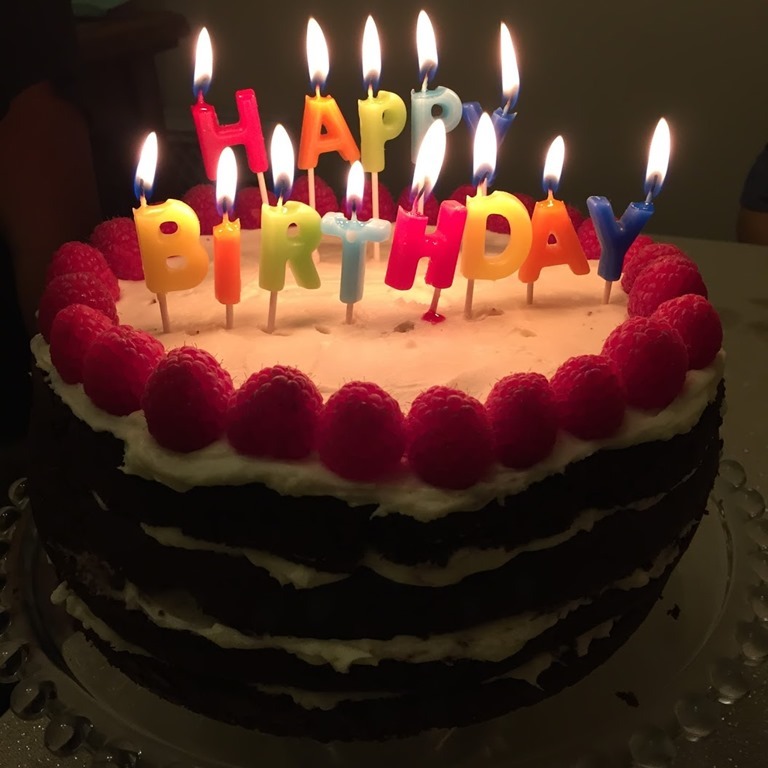 I first made the cake for my brother’s birthday in December. Then I made it again for our family’s Christmas party. 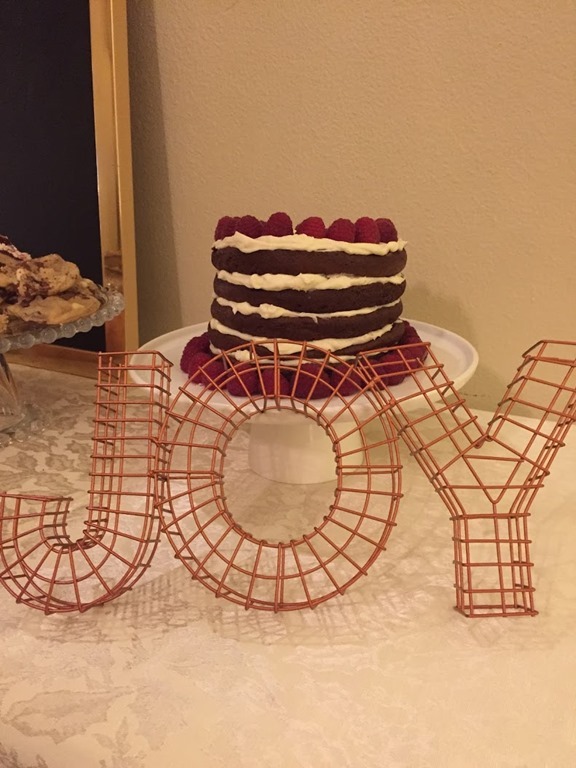 So this cake has been around our family many times. 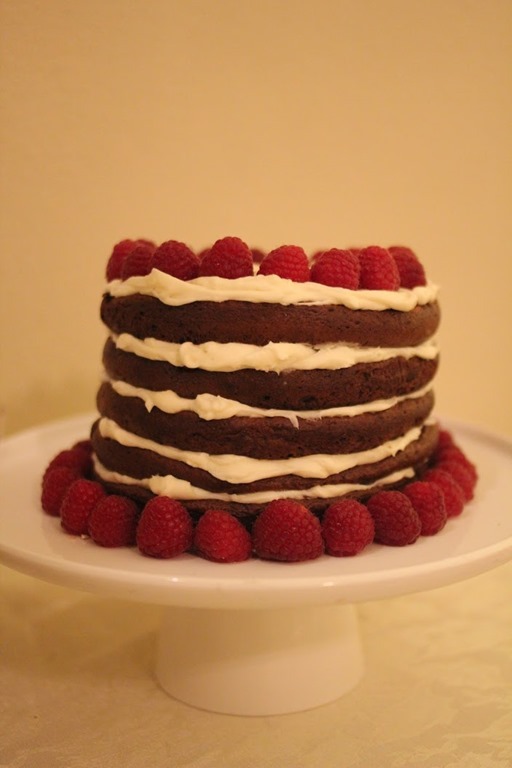 If you are looking for an easy cake to make for Valentine’s Day, I recommend this cake. 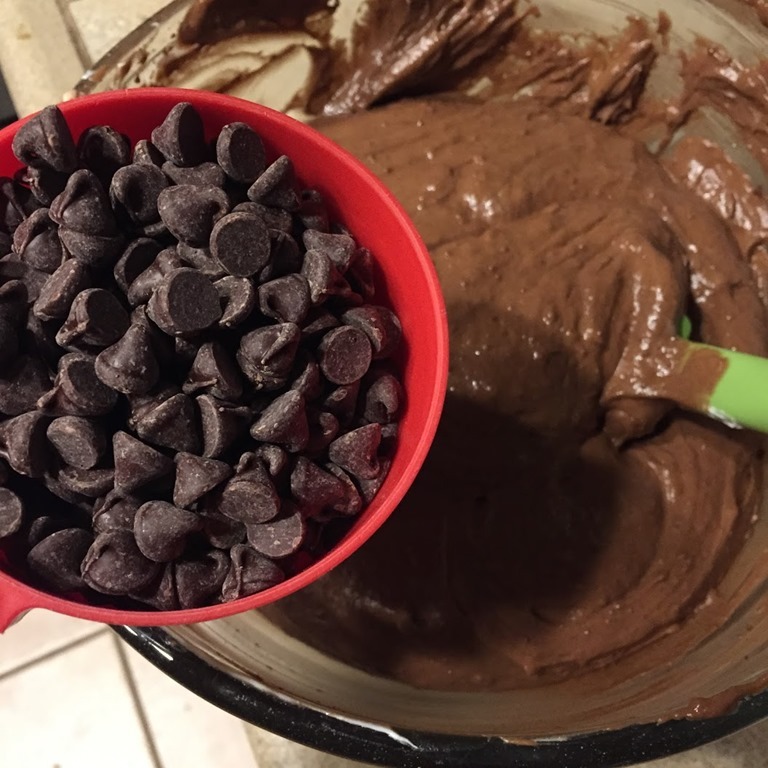 Beat all ingredients together (except chocolate chips). 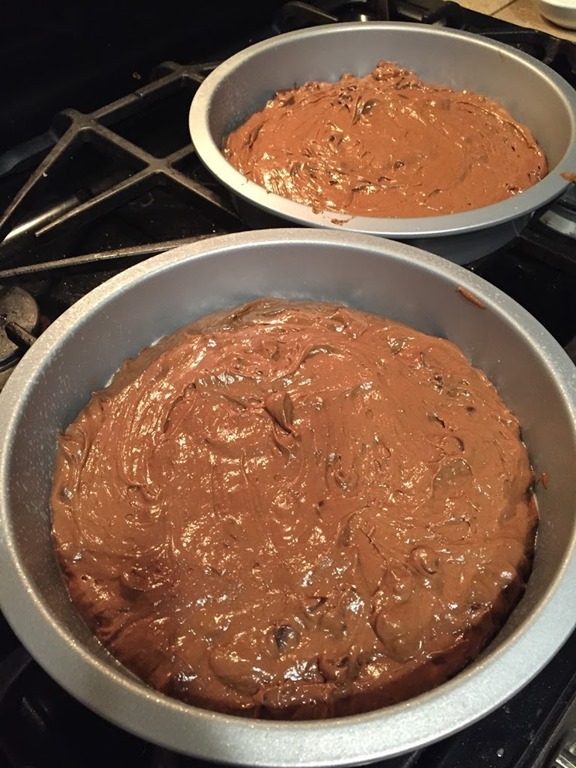 After the batter has been mixed well, add chocolate chips. Pour batter into prepared pan/s. Bake 40-45 mins. (Since I used 8 inch pans I baked for 40 minutes). Do the toothpick test to make sure. The batter will be thick because of the pudding mix.